Gregory V. Jones, known globally as one of the preeminent wine climatologists, has been named director of wine education at Linfield College. 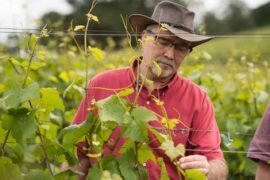 Jones is a research climatologist who focuses on how terroir influences wine production. He studies in particular the effect climate changes have on vine growth, fruit production and the resulting wine quality. He regularly conducts research for the wine industry in Oregon and has given hundreds of presentations on climate and wine regionally, nationally and internationally. He was a contributing author to the 2008 Nobel Peace Prize-winning Intergovernmental Panel on Climate Change Report, as well as the author of many book chapters, reports and articles on wine economics, climate change and climatological assessments of viticultural potential. “I’m excited to come to a small, private liberal arts college that is student-centered and regionally engaged, and in the heart of the Oregon wine industry,” Jones said. Jones will start at Linfield August 15. He replaces Ellen Brittan, the founding director of wine education at Linfield, who decided recently to return to Brittan Vineyards full time. Jones holds a bachelor’s degree and a Ph.D. in Environmental Sciences with a concentration in the Atmospheric Sciences from the University of Virginia. He has been a faculty member at Southern Oregon University since 1997, and SOU’s Director of the Division of Business, Communication and the Environment since 2014. David Beck, co-owner of the Crawford Beck Vineyard in Amity and former chair of the Oregon Wine Board, said Linfield “scored a major coup” with the hire. Jones was named one of the Top 50 Wine Industry Leaders by Wine Business Monthly in 2016, one of the 100 most influential people in the U.S. wine industry in 2012 and 2013 by intowine.com and the Oregon Wine Press Wine Person of the Year for 2009. Most recently, he became only the 10th American to be named an Infanção (nobleman) by the Confraria do Vinho do Porto for his work with the Portuguese wine industry. 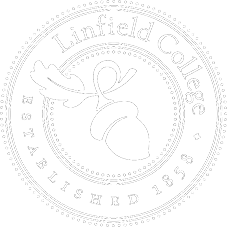 Linfield is the first college in the country to offer an interdisciplinary liberal arts degree in wine studies. It currently offers a wine studies minor that can be paired with a wide selection of majors, and is in the process of developing a wine and sustainable systems major. Benefitting from its location in the heart of Oregon’s vineyard country, Linfield also offers wine management and wine marketing certificates online, provides a summer wine-industry immersion program and hosts one of the world’s premier wine events—the International Pinot Noir Celebration—each summer. This entry was posted in Latest News, Press Releases, Uncategorized and tagged Gregory V. Jones, wine education. Bookmark the permalink.